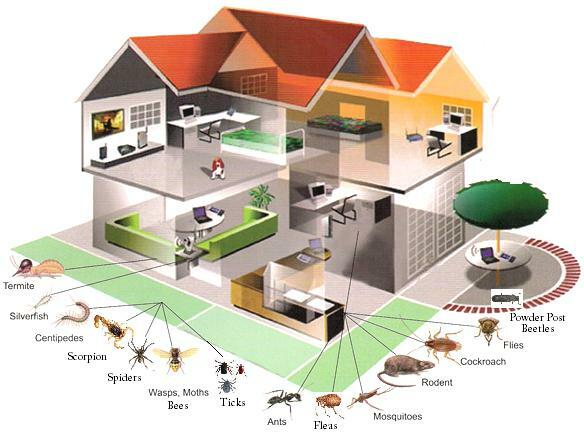 We are fully licensed for residential and commercial pest control. We believe that our customers make our company, and each one of them is treated professionally with honesty and respect. 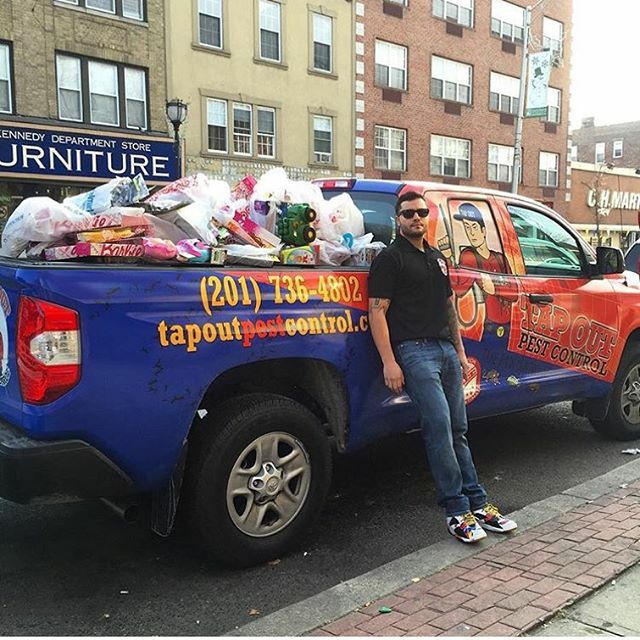 Contact Hoboken's finest pest control experts and see what makes our service the best in town. Our family owned exterminator business strives to give you top quality service at a fair price. Find out what makes Tapout Pest Control the only service you will ever need to keep unwanted occupants out of your home or business. Every pest control service we do comes with our 100 percent satisfaction guarantee. We do whatever it takes to satisfy every customer, every time. If you think you might have an infestation on your hands, don’t wait! Find out what we can do for you. Don’t spend another minute living in fear in your own home. Contact us today and get a free bed bug treatment quote. However bad you think it might be, you can rest easy. We will turn your pest infestation problem into a distant memory. Whether you’re dealing with silverfish, centipedes, millipedes, ants, cockroaches, fleas, flies, moths, or spiders, we have the pest control solution for you. Bugs can be annoying at best, and dangerous in the worst cases. But ,if it crawls, walks, or flies, Tapout can get rid of it! Rats and mice can get into anything, and you may never even see one. They give themselves away by leaving droppings and gnawing on your stuff. If you suspect you might have a rodent problem, Tap Out Pest Control is the solution. 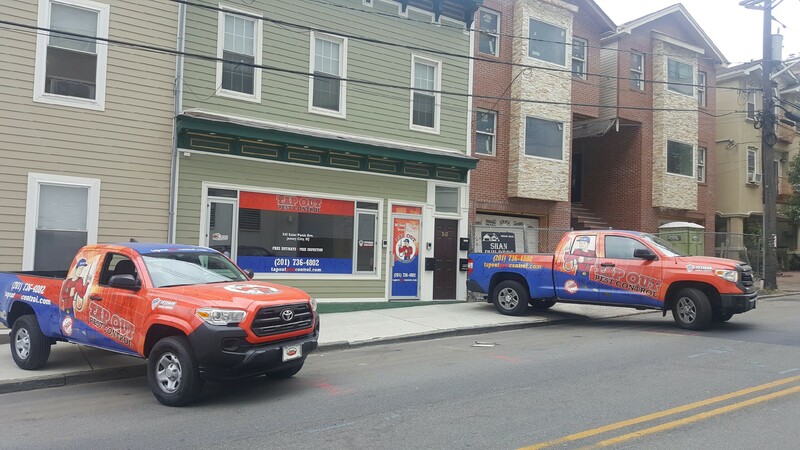 Give Hoboken's leading exterminator a call today to live in a pest free home! Count on us to provide solutions for all of your pest control needs. Whether you are dealing with a severe infestation or would like to prevent one from ever happening, we have the extermination and preventative pest control services to fit your situation. With over 10 years in the industry, we have experience you can trust to get the job done, guaranteed. We proudly serve Jersey City and the surrounding New Jersey areas, including all of Bergen County and would love the chance to prove to you that we are the best pest control professionals around. Call us today for a free estimate and let us show you what we can do for you. Don’t allow unwanted occupants to add stress to your already busy life. Get Tapout on the job and take back control of your home!